When choosing how to protect your home from unwanted visitors, the most basic step will involve choosing the best door locks. Many choices are available now from basic entry lock sets to keyless entry systems which come with a built in alarm. Deadbolts are another popular choice. Be sure to choose one that will protect your family and your belongings as your home is a special place where all should feel safe. A basic entry lock set is one that is nothing more than a simple lock located in the door handle. Often one will find these in residential homes and many choose to use one in conjunction with a deadbolt. 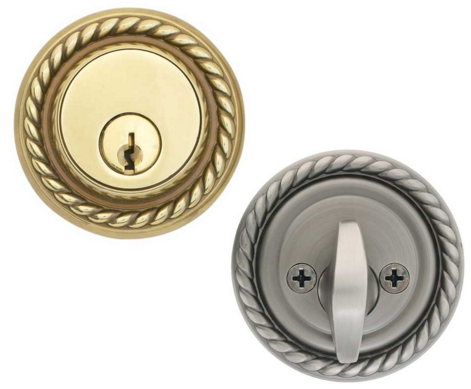 The spring-operated entry lock set offers little security, but is very convenient. One the interior side of the lock will be a push button and the exterior will have key access. The lock may be activated on either side. A step up from this is a lock set which has key access on both the interior and exterior. When combined with a deadbolt, these are more effective in securing your home or office. It’s also advisable that you use a competent locksmith like Las Vegas Locksmith Pros when installed these locks. Many styles of deadbolts are offered which is why home owners often consider these the best door locks. No springs are used in the operation of this type of lock which is how it came about the name deadbolt. One can choose from a single-cylinder or double-cylinder lock. With a single-cylinder lock, a knob will be turned on the interior to lock the deadbolt. The double-cylinder lock utilizes a key on each side. Deadbolts may also be purchased in a model which mounts to the inner surface of the door. A deadbolt is a good line of defense for anyone looking for protection and many manufacturers sell combination sets of entry locks and deadbolts so only one key is needed to operate both. 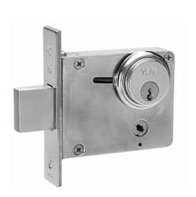 Mortise locks are often used in metal doors and work like a deadbolt. Due to the labor-intensive installation required with this type of lock, it is most frequently seen in commercial applications. Keyless entry systems are becoming more popular with home owners as they may be attached to a security system to ward off intruders. In most cases, they are used in conjunction with deadbolts which secure the door itself. 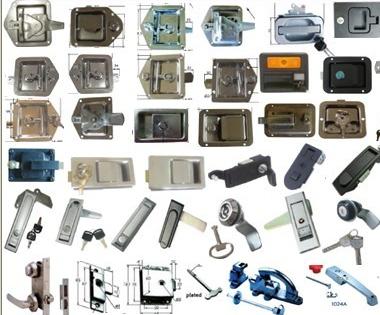 Many other types are also available such as patio door locks and garage door locks. Be sure to ask if you have any questions so you get The Best Door Locks for your needs. Many of the locks are available in hardware stores. But before rushing to the nearest hardware store, do visit relevant websites first which relate how the quality of these products are measured. In such websites, you can also see the product offers from different manufacturers. Herewith, you can compare their features, prices and quality at the same time. When learning how to pick a door lock that is just right for your home security needs, there are other parts which you have to know. They are essential for the provision of safety you are rooting for. These are the strike plates, extra screws and doorjamb reinforcement kits. Doorjamb reinforcement increases the strength of the door system. The two general kinds of locks are latch bolts and dead bolts. The latch bolts are known for minimal security. But they are the most commonly purchased because they are least expensive and easiest to install. With the use of a hammer or wrench, any intruder can break the door knob and the lock anytime. Some homeowners choose to install a metal plate around the doorknob to avoid such smashing from happening. Deadbolts, on the other hand, are said to be the best door locks available for tight security concerns of most homeowners. They are very effective in bolting the door to its frame. Their three major parts are outside cylinder that is key accessible, the throw and the thumb turn. Although said to be better, they also come with a major drawback. A cautious intruder can disengage these bolts through the jamb or strike plate. By making use of a vertical deadbolt, this can be prevented. More often than not, home owners use a combination of latch bolts and dead bolts. This is specifically true in areas where there is high crime rate. Have you ever tried using locks with control keys? Some homeowners find these more secure. To ensure that your keys cannot be copied by anyone else, choose one which can only be copied by a lock smith. Locks with control keys keep unauthorized duplication of the keys. Also, manufacturers are keen in recording every key duplication made for the owners’ sakes. The best door locks usually come with a high price. Since they are the very tools which keep you and your belongings from getting harmed, every cent you spend on them and their installation would definitely be worthwhile. Know the brands which are famed for the durability and protection they bring. If their price is just a matter of a few dollars more than the regular ones, just choose theme for your peace of mind.